Sexist insults and harassment is something women who are involved in politics, the media or head up public organizations unfortunately have to deal with on a daily basis. This sort of taunting has become extremely commonplace in our digital world. It is not acceptable, and society should take a strong stance against it! When I was spokesperson for Ethical Oil back in 2012, I was the target of a lot of sexist taunting. Horrendous sexually explicit messages and name calling were sent my way via social media. The purpose was to intimidate and demean me. Perhaps scare me away from doing my job. I often wondered who these faceless people were, and what their families and employers would think of their secret pastime of harassing young women on the internet. They would be shocked and sickened, no doubt. Sexist insults and harassment is something women who are involved in politics, the media or head up public organizations unfortunately have to deal with on a daily basis. This sort of taunting has become extremely commonplace in our digital world. It is all too easy for someone, hidden behind a computer screen, to toss out a few disgusting jabs. It is cowardly and shameful. 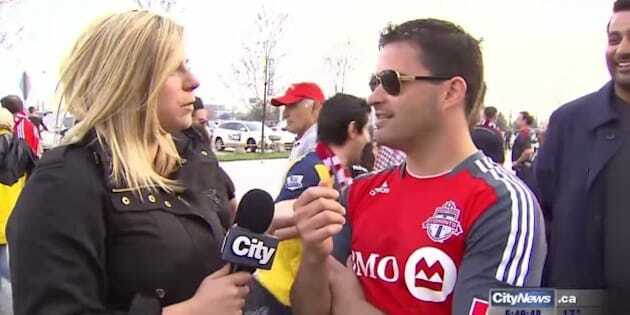 This week a foolish young man and his friends said some pretty awful, sexist stuff to a female reporter while outside a soccer game. Apparently there is a new trend-- to embarrass and belittle female reporters while they are on the job by yelling obscene sexual things into the microphone. These young men apparently thought it was hilarious and seemed surprised that the very brave, and very awesome, reporter stood up for herself and called them out. Unlike the anonymous cowards who spew their sexist insults from a keyboard in the comfort of their basements, these young men were not faceless. They chose to shamelessly berate a woman in public while being filmed by a camera. Now one of them has paid a big price by getting publicly sacked from his high paying job. Some people are saying this is an overreaction and that the punishment does not fit the crime. I say it is about time someone experienced some real consequences to this very real form of harassment. These young men chose a very public forum for their very public displays of sexism and misogyny, and now they are rightly being very publicly shamed. In 2015 women continue to face serious issues of harassment in the workplace. Social media has provided a new means by which abusers can engage in their harassing behavior. This is not okay, it is not acceptable, and society should take a strong stance against it -- whether it comes from in front of a camera or behind a computer screen.